2014 AHA/ACC Guideline for the Management of Patients With Valvular Heart Disease: Executive Summary Article in Journal of the American College of Cardiology 63(22):2438-2488 · June 2014 …... New, 2014 AHA/ACC, Guideline for the Management of Patients With Valvular Heart Disease: has been released. 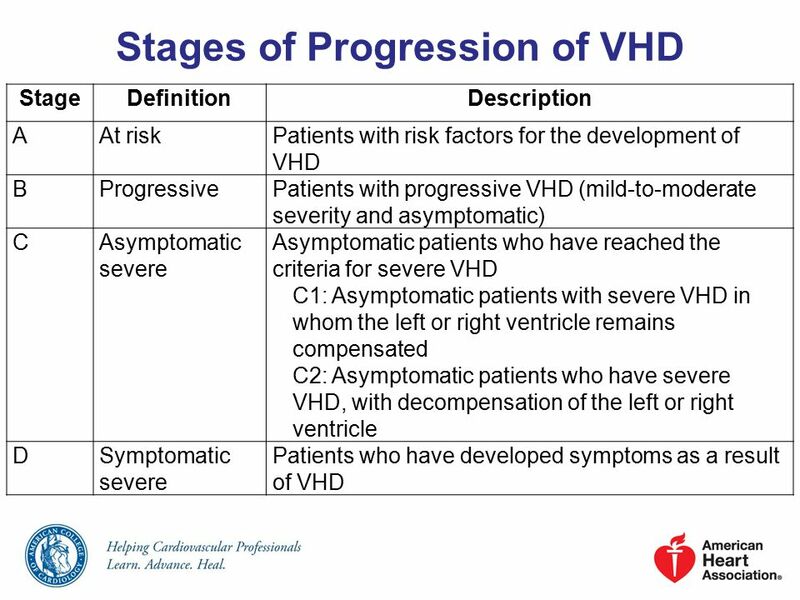 This document is a major revision of the 2006 and 2008 American College of Cardiology (ACC)/American Heart Association (AHA) guidelines on the management of patients with valvular heart disease. 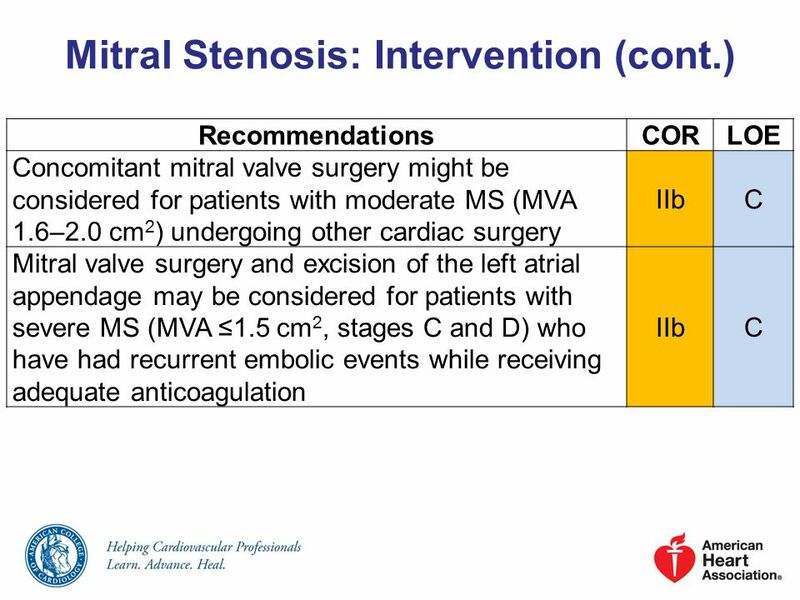 focused update of the 2014 AHA/ACC guideline for the management of patients with valvular heart disease: a report of the American College of Cardiology/American Heart Association Task Force on Clinical Practice Guidelines.